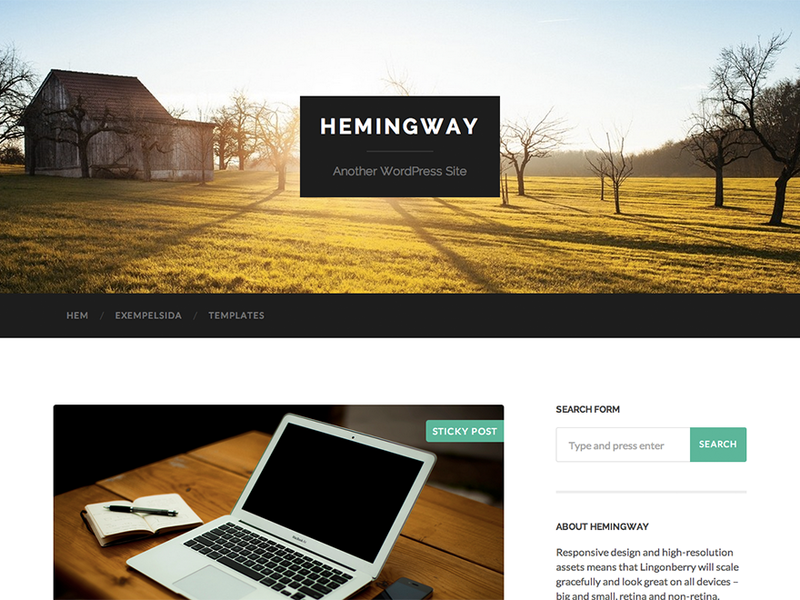 Hemingway is a clean, beautiful and responsive two-column theme for bloggers. Features responsive design, retina-ready assets, full-width header image with parallax scrolling effect, custom accent color, custom logo upload, custom widgets (video, Flickr and Dribbble), page templates and translation-ready code. Included translations: Swedish/svenska.